Windows 8 Extreme Edition is clean then Windows7 and no components are removed from Windows7 so all software and hardware will be same as that of Windows7 but it will be upgraded or with latest version . 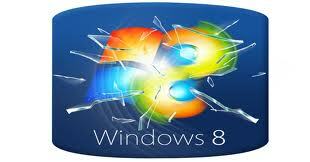 Windows 8 Extreme Edition is faster then Windows7 .All software which are mostly use on computer are defaultly installed on PC and on Windows 8 security is increased and is fully secured against viruses. * Disable User Account Control(UAC). * Taking Ownership :-If you have to access a file or folder which you don't have rights then you have to take Ownership. * Showing File Extensions :-All extensions of the files are shown such as .exe, .avi, .pdf etc. * Automatically cleans unused file or temp file unnecessary files are removed and Hard disk is defragmented automatically with diskeeper . * Enabled Search System Folders in Search. * New Cmd File to Right Click . * All instructions are given during Booting and shutting down. * Secured Network connection . * SCSI Pass Through Direct (SPTD) Basically SPTD is similar to other access layers used by other programs who provide access to storage devices but it has a lot more features that make this interface unique.